We are an instrumental duo. 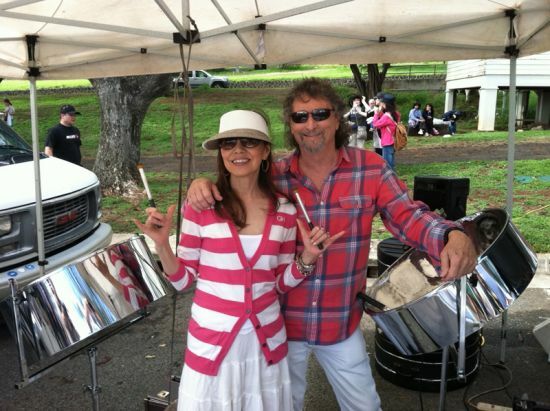 Together we play parallel lead pans and double seconds. 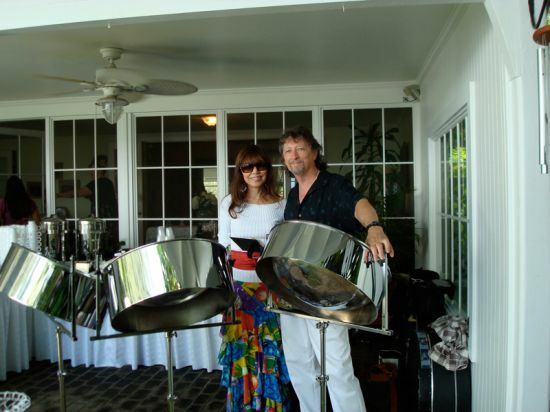 Our pans are made by Chris Wabich, Dave Berry, and Ellie Mannette. 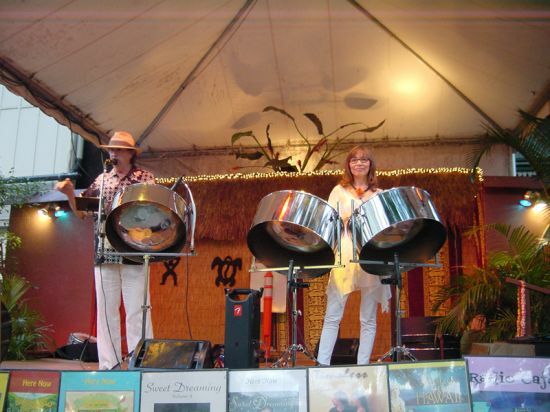 Having been a professional trap set drummer, Greg discovered and fell in love with steel drums at Berkeley in 1985. 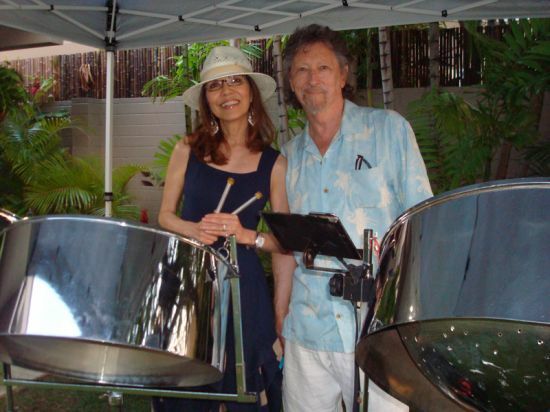 Having performed with the Berkeley Steel Orchestra, he then decided to move to Hawaii which is where he met Junko. 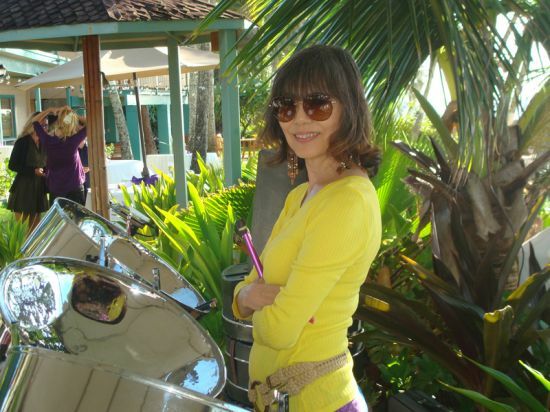 Junko enjoyed the sound of the instrument, so she started coming to band rehearsals and eventually sat in with us after learning a few tunes. With her well trained ear and experience in classical piano, Junko picked up pan quickly. The two of us decided to form a duo in 1996, which led to our wedding just a few years later. 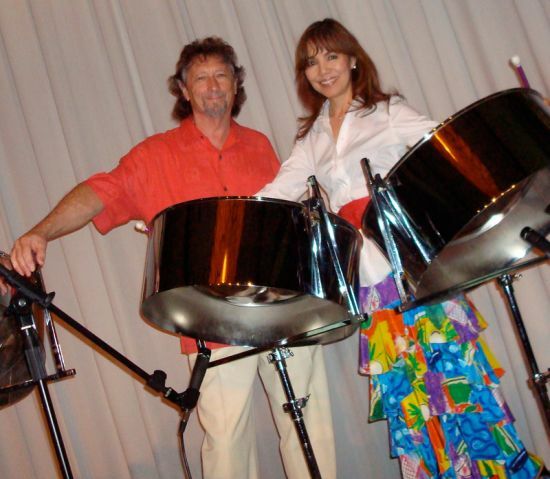 Junko is the world's first professional female Japanese pan player. Our cultural and musical differences help to create our unique sound. We are full time, dedicated musicians. If you are planning your event through a destination service, an agent, or other provider, we would be happy to communicate with them to accommodate and simplify your efforts. 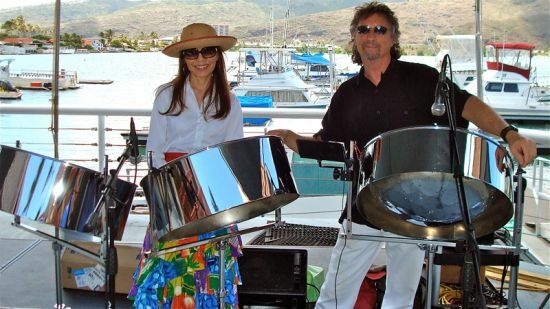 We have performed pre-concert entertainment for Jimmy Buffet, Harry Belafonte, Kenny Loggins and Julio Iglesias. 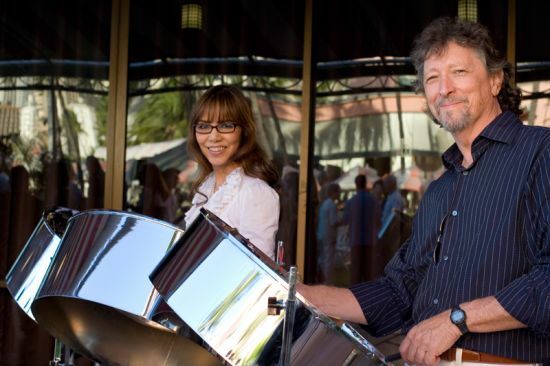 Our Latin album, Pan-a-Cabana, was featured on Univision, the largest Hispanic TV network. We have appeared on HSN and set a new sales record. 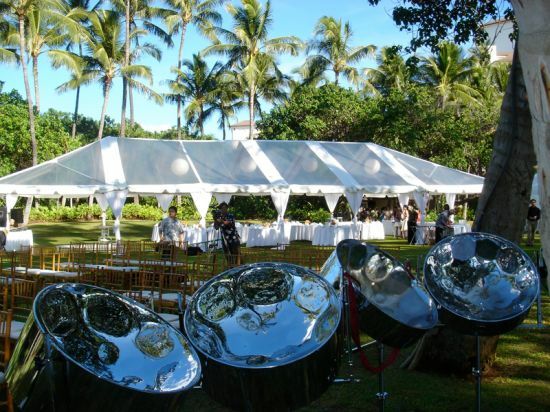 As of now, we have 8 Hawaii Music Awards for all 8 of our CD's.